EKU’s annual High School Choral Day is a one-day event designed to prepare students for the Kentucky All-State Choir audition. One to two additional pieces are included to provide a variety of musical experiences. 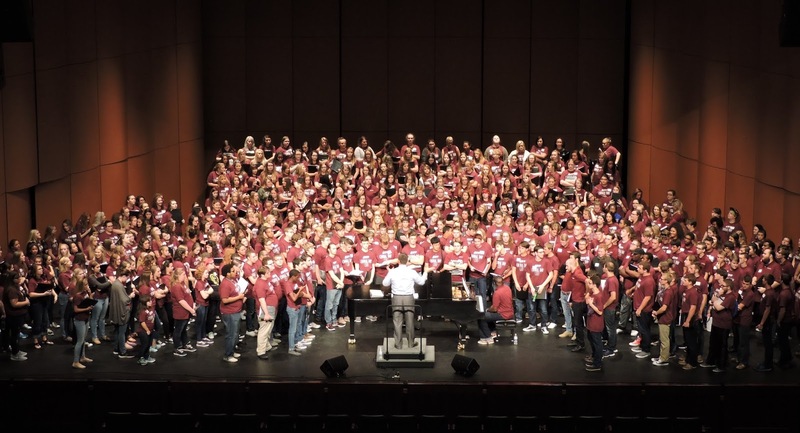 Led by EKU’s choral faculty and graduate students, the event hosts over 400 students from throughout the state who come to experience a unique learning opportunity with their fellow choral musicians. 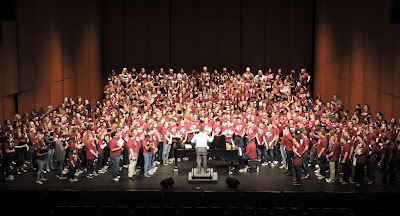 The day features choir sectionals and full rehearsals alongside the EKU University Singers on the selected repertoire, culminating with a public performance featuring all Choral Day participants as well as the EKU choral ensembles. The event takes place at the EKU Center for the Arts. ONLINE REGISTRATION Registration is now closed.